I Was Robbed, Now What? Your college kid just called you to let you know that in their absence, their roommate threw a “rager” and now the computer he was using to get those all those A’s in college is missing! What can you do? We have all been there... young and careless. I know I have lost, broken, or been robbed of things I would really love to have. But, that's life. Living with a roommate is about compromise and you have to be smarter with your things. As a parent, you want to go straight into “I told you…..” but that isn’t an effective use of time. Your kid can learn later! This is the time to make sure that you kid’s identity is protected and he will be able to get his homework turned in on time. Stop, Look, and Listen. Ask your kids the right questions to help them navigate this type of loss, then remind them that had they followed your instructions in the first place this conversation wouldn't be necessary! I hope that these questions will help you in helping your college kid. 1. Are you missing any documents, where are your debit cards, driver's license, or Social Security Card? It's not enough to ask. You should wait while they locate all of these items and confirm that they are safe before you move on. Otherwise, this is the perfect time to report all of your credit cards stolen to the issuing banks. All of this is more important than getting your laptop stolen. Laptops can be replaced and you can recover most of your information but getting your identity stolen can haunt you forever. 2. Is your computer password protected? Using a password will keep amateur thieves out of your personal information. If you use a program like Windows 8 you will be able to change your password from a cellphone or a different computer. 3. Did you change all your email passwords and login information for websites like Amazon, Facebook, and Twitter? A lot of times, we get comfortable and allow Internet sites to save our passwords for future use. If someone steals your computer, they have instant access to all of your files. Remember to accept the option that says to log you out of any other devices when you change your password. 4. Do you have backups of all your important documents, ie. homework that is due soon and in progress? Keeping your records backed up can save your life! Set a time to back up your computer everyday. Also, when you are working on a project. After you save and close it, email it to yourself. You will be able to work on it from any computer on campus or at a friend's home and this copy can save you if your seemingly fine computer takes an unexpected nosedive. 5. Did you report your computer stolen to the police? You need to report your computer stolen to the police because this is an item that can be recovered and returned if you can provide the serial number to the authorities. 6. Write down a list of anyone that was in the vicinity and call them to see if they saw anything suspicious. Then make sure you provide this list to the police. They probably know your neighbors better than you do. Buy renter's insurance, it is so inexpensive! Documentation is key when it comes to getting a claim paid. Take pictures of what you have now (you can email pictures to yourself for safekeeping), make a list of each item and save your receipts from now on. If you buy additional warranties for your expensive items, then register them right away. You need to have an apartment meeting and set some ground rules! Good Luck.. I will be blogging about living with roommates another time, but if this happens to you--comment below so I know. Are You Showing your Work? It's not enough to know what you need to do, how to do it, and to formulate a plan in your mind. You need to Show Your Work! As early as elementary school, students are ask to show their work or evidence their knowledge. Just answers shows that you are capable of finding them, not creating results. This is what I want to bring you. This is the value of my service. This is why you need to secure my services. 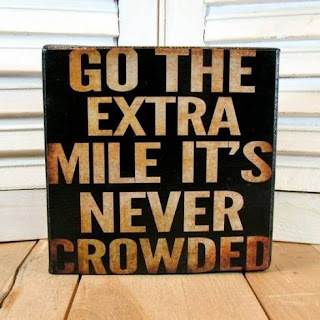 By going that extra mile, you are adding value to your product or service. 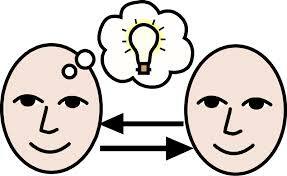 Show your audience your thinking by showing them what you can do to make their life run smoothly! Do I miss my kid at college? I did.... until she called me crazy! Why can't kids just say thank you? Why do they have to add a qualifier? ie. "I am glad you make me try it [college] out first. Thank you so much for pushing me and being there for me! I am so lucky to have a mother like you:) well minus the crazy ;)"
What is this post really about? Please help me! I totally get the "try it out first" part. I was right when I told you that the guys are hotter in college and judging from the eye candy around that pool when I dropped you off at your apartment, I was spot on! I am happy that you are keeping busy learning new things... I want your grades to reflect a real effort... the "try." The lucky part, I get that! Because, you have come a long way from the little whiner you started out as... the "real person." I know that this is an inside joke, but since I am writing this for you... it's all good. The "crazy" part can go either way. I am going to go with the positive aspect of crazy to mean the do anything, no holds barred, my kid gets what she wants part of my personality that makes people yield to my way... that benefits you mostly! Why are Facebook posts so hard to decipher? Are You Ready to Send Your Kid to College? With school in full swing, we have to get into our old habit of asking our kids did you do your homework? I hope that by high school, you have instilled the desire to succeed in your children and set them up to be successful. Time management is key. Are you ready to send your students to college? Make sure your child has every advantage they need to get into the college of their dreams. Whether you are an alumnus or your child is going to a new college, they need to have the right testing scores, essays, and grades to be recognized as a potential student at the college of their choice. Finding that right balance takes more than asking your kid if they finished all of their homework. There are plenty of free resources available to help your kid get into school. 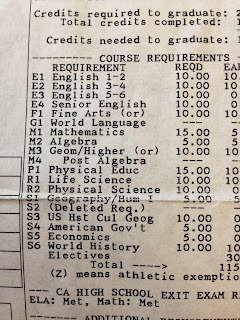 How can I help my student get into college? Where can I go to find free tutoring on campus? 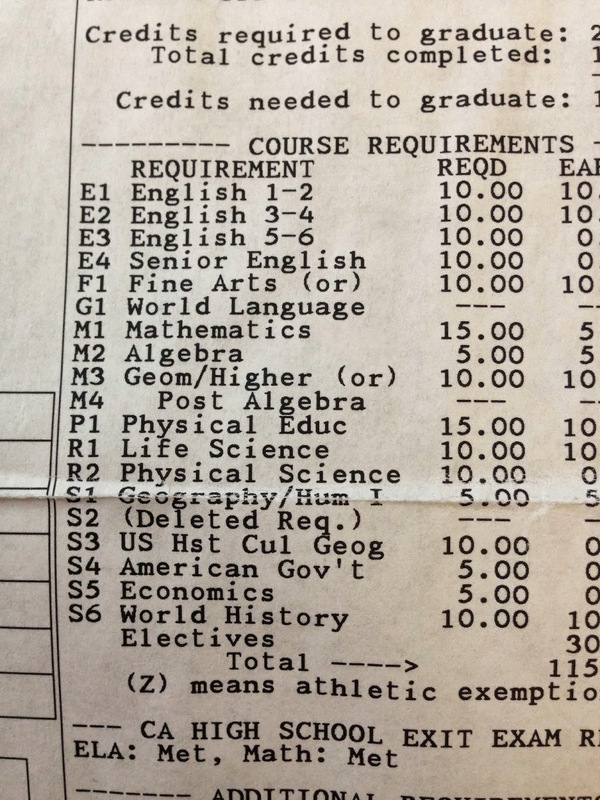 What classes should my student take to get ready for college prep tests? Do you recommend the ACT or the SAT? 2. Fill out your taxes and complete the FAFSA early. Regardless of how much money you make, fill out the FAFSA. The earlier the better. Some states use this information to award state mandated funds. When those funds run out, you lose. Also, private universities use this information to prepare a financial package for you. If your information isn't available until later in their process, the funds may run out. 3. Apply to more than one school. It's perfectly fine to know that you only want to go to ABC University, but what if you get in and can't afford to go even with student loans? Without a backup plan, you may have to wait a year or go to a community college. There isn't anything wrong with community college, but there are more class options at the larger universities and you will not have to worry about transferring your credits to a new school. Also, you can complete a Bachelor's degree without the extra expense of classes that don't count for anything on your degree plan. 4. Take your SAT or ACT early. The earlier you take the test, the more time you have to take it again. Some colleges take the math component from one test and the English component from another to give you a better score when you take the SAT. Study for the test. Use the sample questions to get comfortable with the style of the test. Take a prep test at your campus. If you score well, colleges will notice. 5. Find inspiration by visiting the college campus. Take a campus tour. Ask their admissions office about their process and deadlines. Write them down then and follow up with setting deadlines for yourself. You may find that you like one campus more than another because of the staff or the surrounding areas. Take a peek into classrooms and labs to see what kind of equipment is available when you attend. Start visiting colleges as soon as possible. Using the summer after your sophomore year will give you plenty of time to get on the mailing lists to visit campuses again in the fall and spring to attend open houses and tailgate parties. 6. Hire a professional to assist your student with filling out forms or test prep. This can be a daunting task for a parent to manage and go to work every day. Where your kid goes to college affects their future. The help you give can be as simple as getting them a tutor after school to improve their grades or spending thousands of dollars to preparatory programs to get them primed for greatness. If you need help, you're not alone. Many are turning to professionals to get into better schools. But, what do you do if you can't afford to send your kid to a college boot camp? You get creative that's what you have to do. Your kids deserve the best chance to get into college. Don't let the cost discourage you...many of the programs offer you options. It's no coincidence that the local newspaper is written at the high school level. 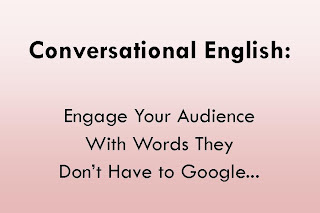 This is a common practice known as conversational English. Facebook Business Fanpages are about having conversations with potential clients. Make sure they understand what you are saying. If they are clicking away from your page without knowing what you do, you lose. Give your business another credible source of information by engaging your audience with content they can read and understand! Stop using industry only terminology they have to Google. They are already at your Fanpage.... give them something to talk about! My hubby and I were catching a high school game this weekend and the weather got really cold all of a sudden. We decided to wait for our little one at the truck. On the walk over my hubby was walking really fast! I was "meandering" and he was way ahead of me. I had to break out in a jog to catch up to him the whole time whining about not being 6'1" so matching his strides were not as easy as he thinks. His response, "I'm carrying a backpack." Wow! I slid into the truck and the silence was filling the air. "What's your major?" I teased him. He push up the middle console and pulled me into his lap. "I love you," I said. He laughed and kissed my neck. "No, seriously—I do " I insisted. Still playing our game. "Hmmmm..." he said and pushed my hair behind my ear. "You do?" He asked. "This is the first time I ever told a guy I loved him while we were making out in a car and meant it," I confessed. As a breeze blew across my shoulder, I turned my head to catch the deeply serious look on his face. "I more than love you. I love and adore you." Who knew it was possible to love my angel any more than I did just moments before. You're grown... You can make your own decisions on your personal page. But, what if it's a business Fanpage? 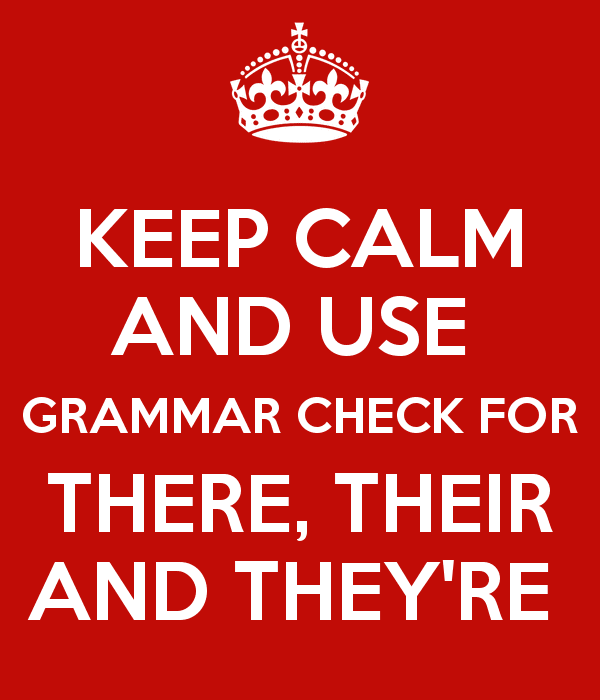 What does poor punctuation say about your business practices? I can't trust you to help me from a client standpoint if your posts make you look unprofessional. With all the choices out there, let your communication style speak well for you! Reread the post before you hit send. It just takes a moment to look professional. Give them something else to focus on. 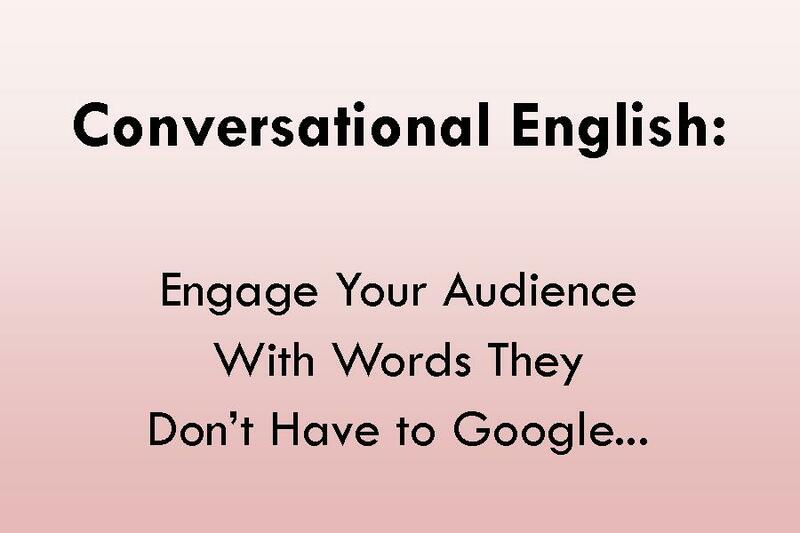 Also, speak to your audience. There's a reason the newspaper it written at or near the 5th grade language. If you are in a highly technical field, try layman's terms then take it down a notch! 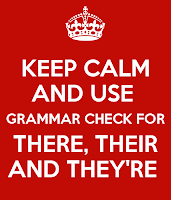 No one knows if they need your service if they don't understand the words that are in your post. Besides, if they were following your train of thought 100% they can probably do it themselves. When we were little kids, we learned how to share. Sharing is Caring! As business owners we need to dig deep into our knowledge base to use skills we have learned to deliver better outcomes. Do you share? 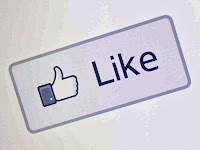 Facebook has turned Likes, Comments, and Shares into Gold! Did you know that Facebook has options when sharing content? You can share to your timeline, to a select few friends, in a private message, and only you. When I see a recipe that I have to have... I share it to "Only Me." It shows up on my timeline with a lock around it so only I can see it. I also use this for cleaning tips or things that I know I will use again. If you share something to someone in a private message, they are the only one that sees it. As a group of social media network members, we should be sharing our message at least one time in 24 hours. Maybe, with the new currency we can see our post not only go viral but stay relevant enough to dominate the top of the feed for more than 24 hours. The different sharing options allow you to select your audience. With these options available and the value of sharing posts, it is surprising that more people don't share everyday! Thanks for reading! Like me at https://www.facebook.com/VickiBezio or my business page at https://www.facebook.com/vixxbuzz. Did you mean to say what you said when you said what you said? People read a lot more into your posts than you intend because they don't have your tone of voice to cue them into your meaning. You have to choose your words carefully. Then, you need to worry about engagement. Make them want to come back. Are you giving your clients an opportunity to interact organically with your posts? If you are getting a lot of "Nice," "Thanks for sharing!" or "Interesting" as your responses, probably not. Generally when we are posting on Facebook to our client base, we want to give them new information about our business. Otherwise, what is the point? Do we need to maintain a business page if we are not adding value to our business? You need to provide another customer point of contact that gives your client a good feeling about your business. Manage your comments, if you have the "reply" option turned on—use it. 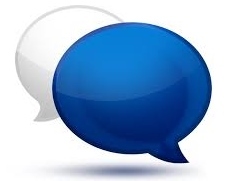 Correspond with your customers directly to their posts. I often see large corporations with comment spam to another product that can even be a competitor product. These comments should be deleted when they occur and the creator banned for poor taste. It's your business page! If your customers are leaving you questions in the comments, answer them. If it's your policy to redirect questions and concerns to an email address, let them know and be consist so the next person can follow the same procedures with continued requests to forward all questions to questions@mycompanyname.com. But, answering the questions in the threads will give many people the same answer eliminating your need to respond to countless emails. Don't be afraid to use graphics, videos, and articles for people to engage more with your posts. The new algorithms used by Facebook has turned comments, likes, and shares into gold! Learn more about me at https://www.facebook.com/VickiBezio or https://www.facebook.com/vixxbuzz.. Negative Comments… Should We Delete? When people post negative comments on your Facebook Business Fanpage to complain about your service or product, should you delete their posts? There are mixed reviews on this subject. I say leave them and deal with them right then in the comments of the post. Try to put a positive spin on the situation by offering a real solution. If you delete every post that is negative on your business site, guess what…. People will tune out. By deleting the negative comments, you are creating another ad for your company and not a credible source to find real information about you. No one wants to read ads on Facebook! You have a fan page to give your customers another way to interact with your business, so use it to your greatest advantage. Even when we do our best, there will be customers that want to complain. Each complaint should be met with an apology. Even if all you say is, “I apologize that my performance was not up to your standard.” Then, follow up with an offer to make it right. Be sincere in your deliver or don’t bother. When people complain about you on Facebook, they are beyond the point where you are going to be able to assist them without an audience. At this point, you are being watched and the way you handle the situation is more critical than the original offense. These are your customers and you want them to know that you care about their experience. Someone may read what you wrote and compare your reaction to how they were handled elsewhere. Give them a reason to switch! Airports are packed during the holidays with once a year travelers and you decide it's the perfect time to buy that discount ticket and take your little one across the country to sample grandma's cooking. It's not too late to change your plans but if you choose to travel during the peak times, you may want to follow these 6 tips. 2. Print Your Boarding Pass at Home. Even the kiosks will have lines. If the system goes down from being over taxed, you will have your boarding pass and can go to the shorter line if you need to check a bag. Bring tip money to use the skycaps. Checking any baggage curbside will save you time in the long lines in the airport. 3. Leave your house extra early. The airport will be packed. Even if your plane is delayed, a plane swap can occur and your flight can be back on schedule in a snap. Getting through security can take an hour during peak times. If you are not in the gate area, you will miss your flight and during the holidays there are very few empty seats. 4. Pack Light and Pack Right. Remember, your kids will have a very short attention span so pack them things to do while you wait, puzzle books, coloring books, and reading books are a great start. If you are going to be gone for more than a couple of days, do laundry in your destination. Bring clothes that can be layered and interchanged. Ideally, each ticketed passenger will board with one carryon item and one personal item. Rick Steves gives you great tips at http://www.ricksteves.com/plan/tips/packlist.htm. 5. Ship your gifts days before you leave. Travelling with kids will already have your hands full! There's no need to check wrapped gifts when you can order gifts online and have them delivered directly to grandma's house. Extra baggage can cost you a lot of money. Before you start home, pack up your gifts and ship them home. Is it enough to do exactly what is expected? Not usually. People remember that you went the extra mile to ensure their happiness. This is how repeat business happens. Give your customers something to talk about... to rave about! 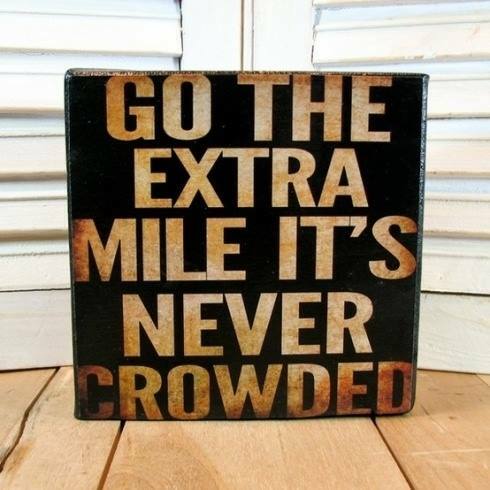 Go the #ExtraMile. When you do you will be rewarded with a reputation you can build a business on. Many stop just short of the best they can give because good enough has been their standard for too long. That little bit extra is why people shop around. It may not be the pricing structure, it could be the level of service someone else offers. It's not too late to increase your level of acceptable standard. Even now, there are restaurants that I frequent that have exceptional service and ok food. Why? Because I like to have great service when I go out, it makes the meal more enjoyable for me. On the other hand, there are restaurants that have perfect food and hit or miss service. Do I eat there? No. I will, on occasion, order food to go. But, guess what that means? No upsells, no dessert, no beverages, etc. These are all items that the owners count on to pay their bills. So, if there is room for you to do better... do it. You are only hurting yourself when you do just enough. Eventually, someone will come along and do what you could have done all along and blow you away! Your Girl is Peeing on My Stick! 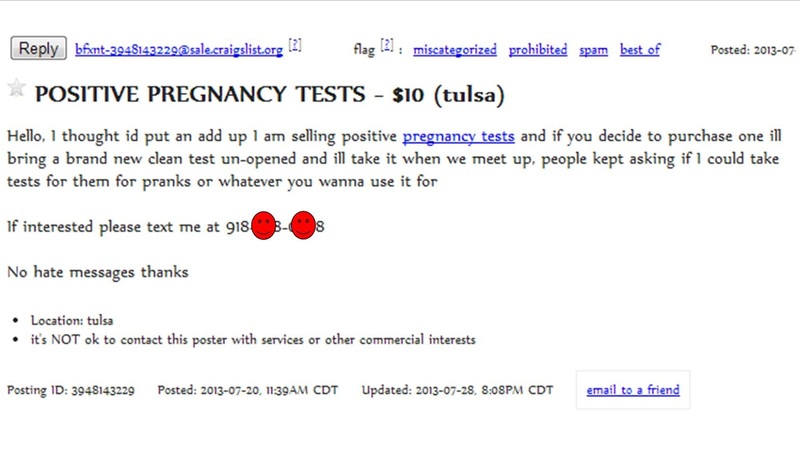 I was looking for something interesting to write about and I found out that women are selling positive pregnancy tests to other women “no questions asked.” No good can come from this practice. What do you think? Please comment below. I am never amazed at what level of trickery a person will stoop to get what they want! When I read this article, I was sick. I had to see if this is real and how easy it is to find these women selling pregnancy tests. I looked in Oklahoma and found someone in less than a minute! When you are starting out a relationship based on a lie, the likelihood of relationship success is diminished. I understand doing all you can do to get what you want. But, this is too far. The foundation of any good relationship requires trust. If I can't trust you, then we have nothing. The worst part about this debauchery is that when the news is delivered, no need to use protection now... then Boom! That lie is now your reality. Hmmmm.... thank you babe for 19 years of love so I don't have to trap you with a fake pregnancy test. You already know... it's not happening here!